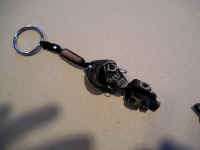 She also gave me this fun "pirate's" key-chain for my spare "Chip Ahoy" boat keys! 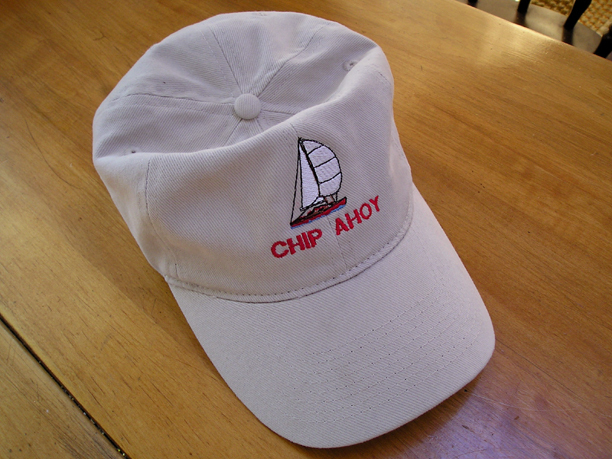 Uncovering Chip Ahoy -- Season 2005 is Officially Launched! The buds have begun to sprout on the little pear tree, Daylight Savings Time began today -- it's time to get started on the projects ahead. 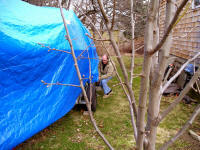 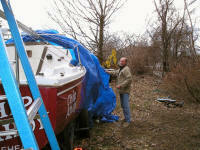 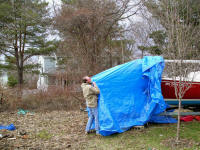 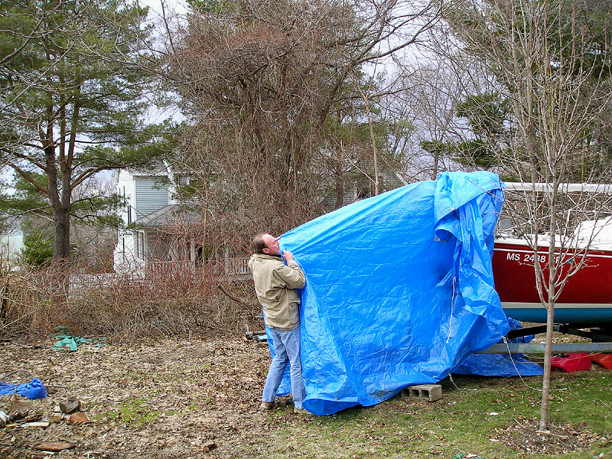 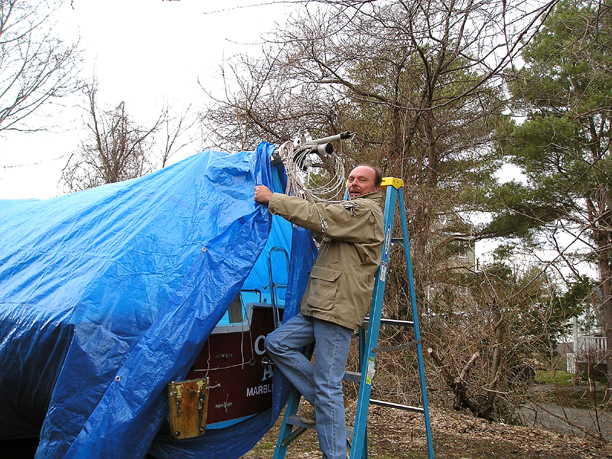 With abandon and a sense of excitement, I begin the peeling back the tarp and revealing more boat. 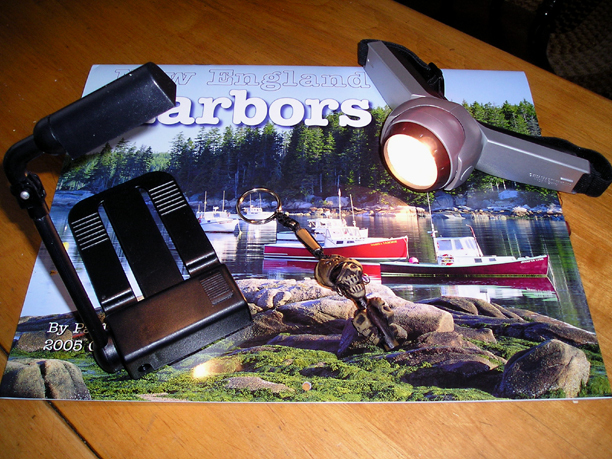 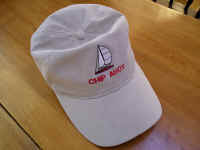 The last little tug and winter will be but a bad memory -- Chip Ahoy will be liberated for another season. 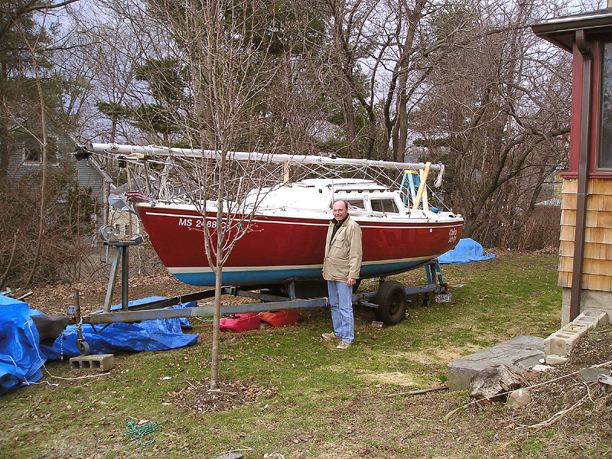 Free at last, but dinghy Chip Mate (still covered aft of Chip Ahoy and resting on pallets) will await its freedom for another day. Season 2005 is finally officially launched! 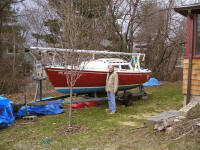 It's time to get to work on this year's projects if I'm to be ready to launch by Memorial Day Weekend this year. 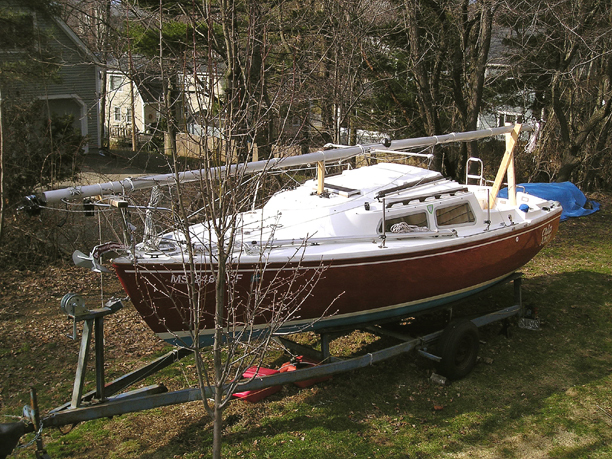 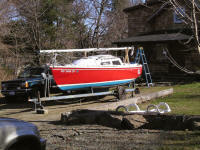 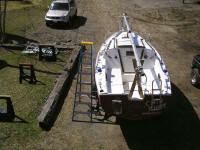 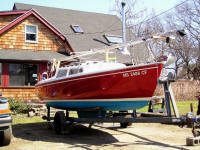 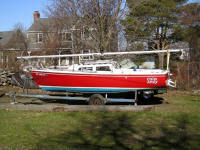 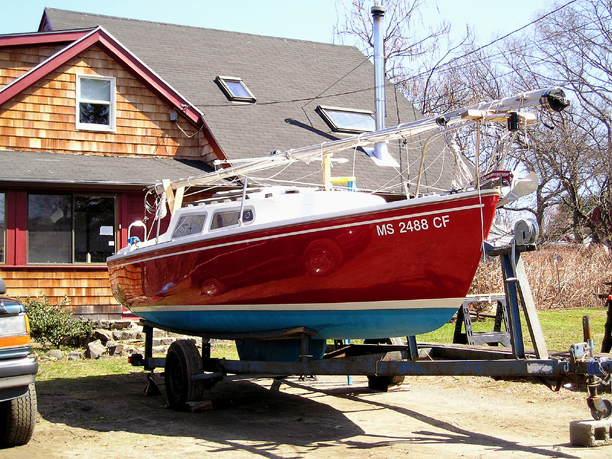 Vaughn McGrath ("French Curves") will be by in a day of two to help remove the mast. 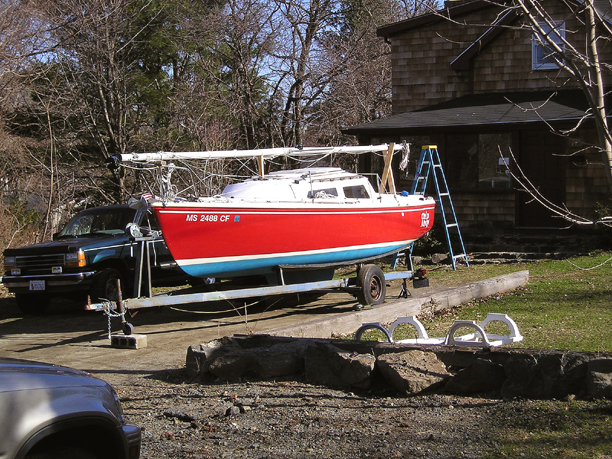 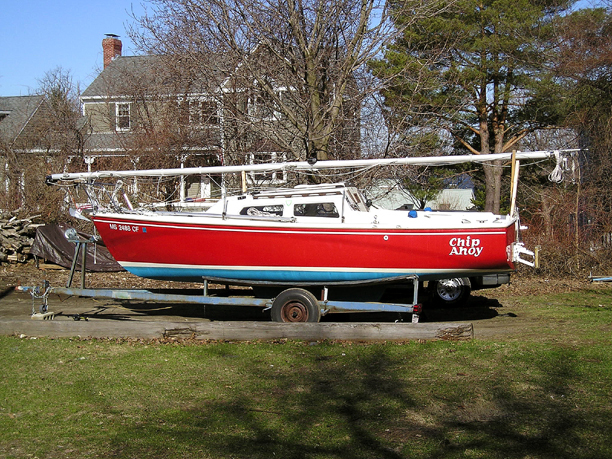 The mast will go on the sawhorses alongside the boat, where I'll replace the standing rigging and check out the lights and wiring for the coming season.